This entry was posted in photos and tagged photography. Bookmark the permalink. OMG Yes!!! 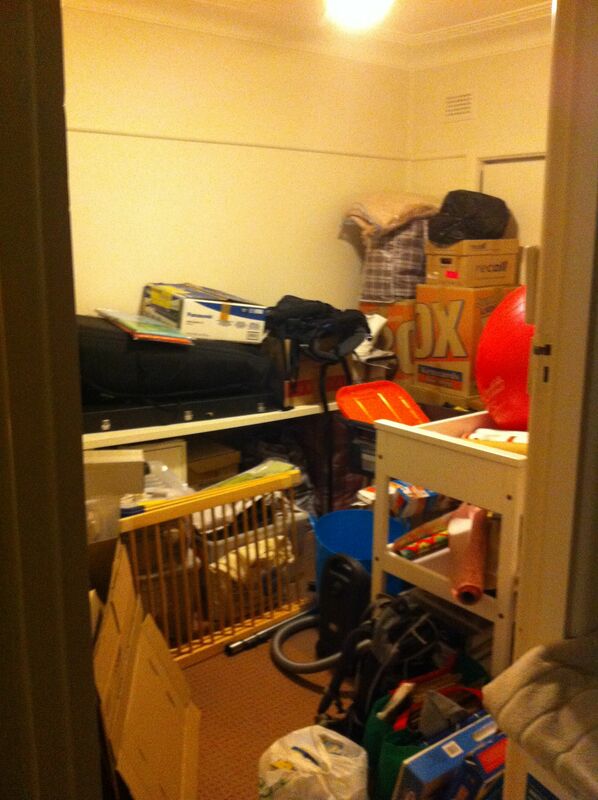 We actually have two of those rooms at the moment, such is the amount of crap we have. I a, in the process of culling at least one room’s worth so I can turn it in to a study but the process has been taking a while, at least 3 months so far! looks like our place when we moved everything we wanted and still had heaps of stuff at the old place. I wished I could just burn it all HA! ahhhhh good luck going through it all! I need a secret room. Our secret room is unfortunately not so secret – it’s our room. After cleaning out the children’s rooms and making sure they keep them tidy, our room became the dumping ground. Probably time to do something about it (or move into a bigger house with a dedicated secret room). Careful about talking about moving – it might actually happen! Yep. I finally got it cleaned out the other day, but things keep finding their way back in there. Sure do. It miraculously disappears when ever we have guest stay. not a room anymore… we have a double garage!!! One of my favorite replies! Showed my father in law just before I let him know a whole lot of stuff is coming his way! No but we have a shipping container ! Great pic. Haha! Yes, it’s called our garage 🙂 I gather the move went well? If by well you mean everything I own in under one roof then… yes! Yes, ours is called a “garage” and that is why we park two cars on the street. ‘Secret’? No. It’s the first room you walk into when you enter the house. Brilliant, really, once you get to the ‘real’ part of the house it looks comparatively pristine! Nope and thank god for that. BUT I do have secret spots that have stuff put in there all the time.